When your network crashes or experiences downtime; it can greatly impact your business. Productivity suffers and you might be unable to work. This is why it's critical that your IT systems are functioning properly so you can perform the daily tasks of running your business. Network Monitoring ensures that your network is protected by taking a proactive approach to identifying potential threats. While the SOS IT support team is here to help you recover when IT issues arise, our ultimate goal is to prevent issues from arising in the first place. Our knowledgeable team will prevent security breaches, identify potential network issues, avoid complications from slow servers, and eliminate crashes. 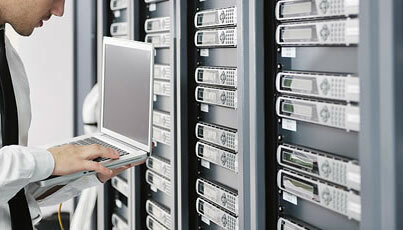 Maintenance- We will actively manage your servers and PCs and provide necessary patches. Security- Your system will be constantly monitored for potential threats, greatly limiting the possibility of a breach. Support- Our IT team keeps a close eye on things and provides quick support to get any issues resolved immediately. Minimized Downtime- Downtime will be minimal to nonexistent as we work to prevent IT issues. Productivity- Allowing us to manage your network gives you more time to focus on your business. For more information, feel free to contact us today!